We would not be saying something you don’t know when we state that Microgaming is the leader in developing software for virtual casinos. The leader that knows for sure how important the attention to details is and just how important inspiration can be when a hit game is being created. But the result is always worth the trouble with Microgaming games! The players really never stop admiring fantasy of developers, who create such stunning slots as the Gold Factory. This slot invites them to the remarkable place, very much alike the amazing Willy Wonka Chocolate Factory. And that was the place only the chosen ones could visit and get to discover its secrets. So let us not hesitate and check what is hidden behind the Gold Factory slog logo right away. Right after we join the game we will be met by charismatic factory owner in gold suit (the character is very much alike Willy Wonka), who will introduce us to his castle. Thanks to the colorful graphics and cartoon design the factory looks like a funny place to visit indeed. As may already realize, gold is the main theme, together with related symbols of good life: piles of gold, submarines, balloons, trains. This unique factory is more entertaining place than dull industrial object. Due to cheerful music the whole atmosphere is very much optimistic and sunny just like in another extremely successful Microgaming slot Mega Moolah, but with more gold and jewels of course. Gold Factory belongs to five-reel online slot machines with fifty active paylines. 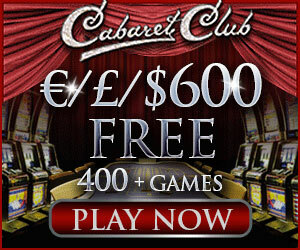 It has all the basic features like wild and scatter symbols, free spins, etc. The bright Factory is a Wild symbol and it will modify any other and make many winning combinations this way. It is only the Scatter gold coin symbol that will remain untouched by the Wild charm. The betting value varies from 0.01 to 0.10 making the game sufficient for any pocket. Together with possible jackpot of $25,000 this gold production is tempting one to try. However, you may say that nothing is mysterious so far. But it is not so in fact. The most interesting part starts when you appear in the Bonus Boiler Room. You will have a chance to visit this part of factory if three or more Scatter coins appear anywhere on the reels. Boiler Room screen provides the option to choose four out of twelve items to check for cash reward or other factory secrets like Free spins or Reactor Room. Depending on how lucky you are today you can win up to 35 free spins and we should note that all trophies during the free spins game will be multiplied 2x. Reactor Room is another factory secret reviled to the luckiest guests. It consists of twelve chambers hiding cash wins so you can choose and become richer till malfunction symbol appears to take you back. So go ahead and get your gold ticket to the Factory in any of Microgaming casinos like Gaming Club, Ruby Fortune, and Betway.